Recently we have had quite a few people telling us of quite serious accidents with home style gas BBQs installed in their caravan parks or apartment buildings. The issue is that the BBQs are provided by the establishment for the benefit of the patrons and the patrons are allowed to use the BBQ without sufficient instruction or understanding of how gas BBQs are to be used. Often patrons are inexperienced with gas BBQs, particularly young or overseas patrons. The most common problem we hear about is that the gas is left on for some time prior to ignition and as a result the gas accumulates in the unit causing a significant flash or explosion when ignition is attempted. It is important that gas is not allowed to accumulate for more than a few seconds prior to ignition. If gas is allowed to build up the BBQ should be left alone for a good length of time for the gas to dissipate. Under no condition should ignition be attempted if there is a strong gas smell present or if a build up of gas is suspected. Should a gas leak be suspected please shut the flow of gas at the bottle or tap controlling supply immediately and report to a person that is responsible for the ongoing maintenance of the unit. Unfortunately this type of gas BBQ is sold to users with suitable instructions on safety prior to use, however this is not always passed on to patrons of temporary accommodation such as rentals or holiday accommodation so the patron could well be unfamiliar with all the usage instructions. This is a major reason to seriously consider an automated gas BBQ designed for this application. The other issue that often happens is patrons, sometimes children, can easily turn a gas knob on and if the gas has not been turned off at the bottle all the gas can be lost causing loss to the management and it could pose a larger explosion risk of the gas can accumulate in a location. Gas generally will flow to a low level as it is heavier than air so be careful with trapped gas that can accumulate. Most gas BBQs are quite safe however these are serious risks that should not be ignored. 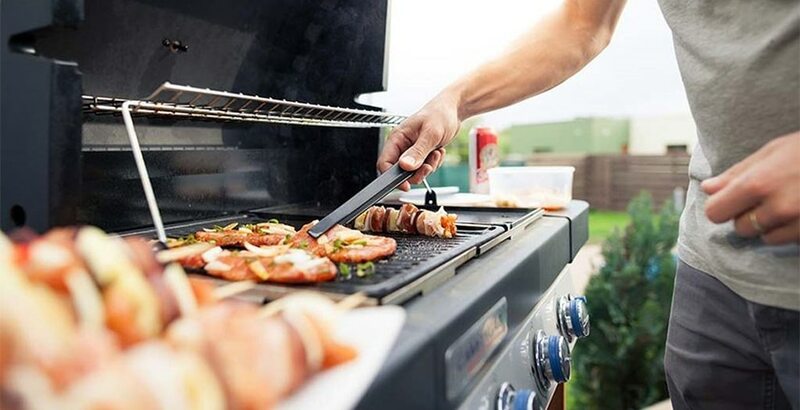 If using a domestic style BBQ in a public use location it is important to ensure that gas bottles are turned off after use and all users are well informed on how to use your gas BBQs including all safety requirements.